Wondering how to pay City of Bend water/sewer rate hikes? Bugged about Central Oregon's deteriorating roadways and jammed intersections? Contact Salem this week to urge Rep. Judy Stiegler, (503-986-1454, or rep.judystiegler@state.or.us) and Sen. Chris Telfer, (503-986-1727, or sen.christelfer@state.or.us) to vote yes for HB 2227-A15 so that future destination resorts don't hog your city's water resources, mooch on your community's roadways, or raid urban affordable housing. 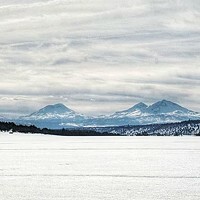 (Tetherow and Eagle Crest are examples in Deschutes County.) Oregon deserves oversight by the Department of Land Conservation and Development (DLCD) for statewide comprehensive destination resort reform. Wondering why City of Bend streets and services are still in disrepair after all this recent growth? Don't understand how Bend is broke and looking to raise your rates again? If you live inside the physical Bend City limits (not based on a Bend P.O. address) and you are currently a registered voter within Bend's City limits and you have never before signed this initiative petition, then Infrastructure First! needs you. Do something right now! 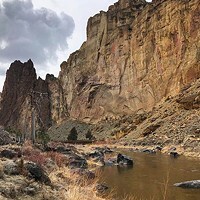 Take Action to right Central Oregon.